One of the best attributes of the Rio Grande Valley — one that many up North envy — is our climate. Yes, it may be cold and drizzly today but the sun and warmth is supposed to return this weekend (seriously) just in time for the McAllen Kids Marathon on Saturday, and the McAllen Marathon Scott Crane Memorial Run on Sunday. We have hope that Mother Nature won’t let us down. There are over 4,100 children signed up for Saturday’s McAllen Kids Marathon Final Mile event, which begins at 9 a.m. at the McAllen Convention Center. In case your child isn’t registered yet, it’s not too late. Go to www.mcallenkidsmarathon.com. Even better news: It’s absolutely free and open to any child in the RGV ages K-8th grades. Walk ups are welcome but be on site by 8 a.m. on Saturday; T-shirts are on a first-come basis. The Monitor has been humbled to have been a sponsoring partner in this event for the past four years, which wouldn’t be possible without the other partners: McAllen Independent School District, City of McAllen, Rio Grande Regional Hospital, UnitedHealthcare, UTRGV, Texas A&M Healthy South Texas, Telemundo40, Capable Kids Foundation and South Texas Juvenile Diabetes Association. All have contributed their staff, skills, resources and funds to pull this off. And all with the goal of improving the health of our youth in hopes of improving the overall health of our community. UTRGV and Texas A&M Healthy South Texas have donated T-shirts for our tykes; UnitedHealthcare purchased thousands of cool medals. 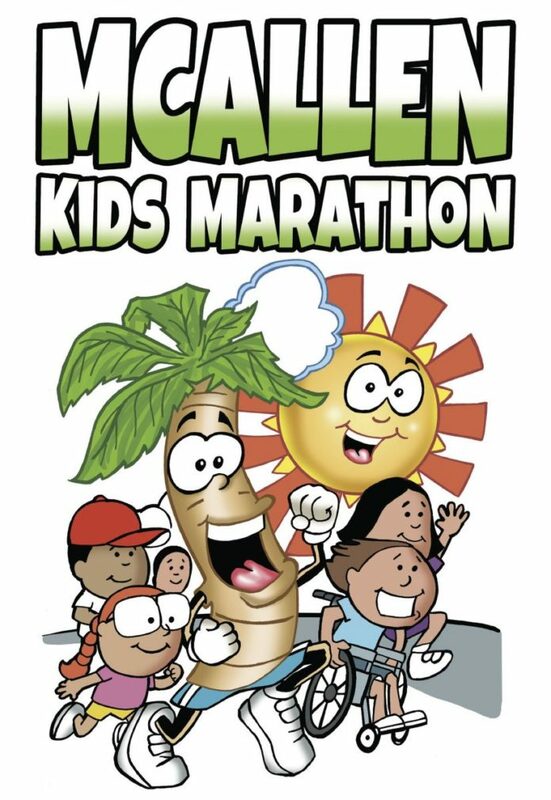 The City of McAllen oversees the race course and McAllen ISD helps to get the kids there. Capable Kids Foundation families will kick off the run by doing a lap around the Convention Center oval pond. Some of these children will be in wheelchairs; some in walkers. But all will have determination on their faces — determination to finish their lap and support healthy kids in the RGV. We admire their tenacity and dedication, and that of all of our Kids Marathon participants. They put one tiny step in front of another beginning in September to complete 26.2 miles with their little legs. Our community needs to come out and show them support. Cheer them on and give them a thumbs up. After the run, families and the community are invited into the Convention Center for a free city-sponsored Health Expo. Runners competing in Sunday’s relay, half and full marathon also can pickup their race packets at the Expo. The first 200 children into the Expo can get a free bicycle helmet from the UTRGV School of Medicine. There will be free asthma screenings for children and free blood pressure checks for adults by Rio Grande Regional Hospital, as well as runner education. Then don’t forget to line our streets and cheer on Sunday’s runners. Because, aside from our weather, the best part about the Valley is our people.